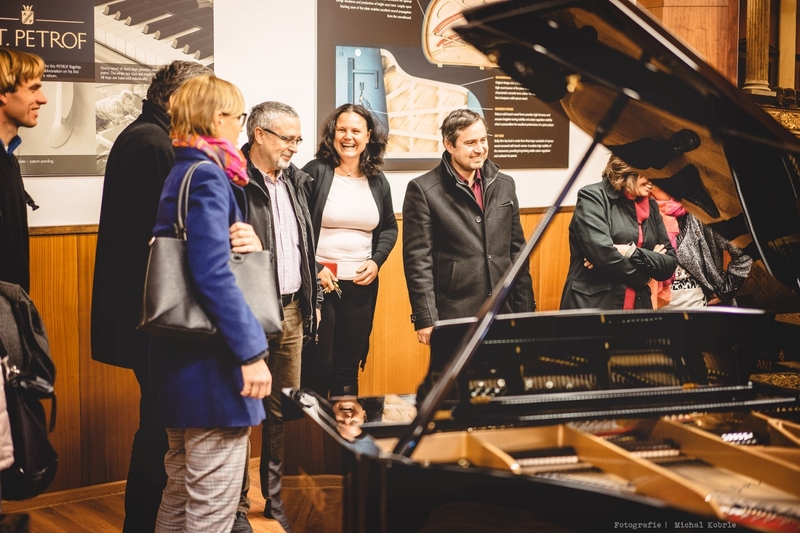 On 4 November, we welcomed friendly delegaton in PETROF Museum – members of the council of the Museum of Eastern Bohemia. 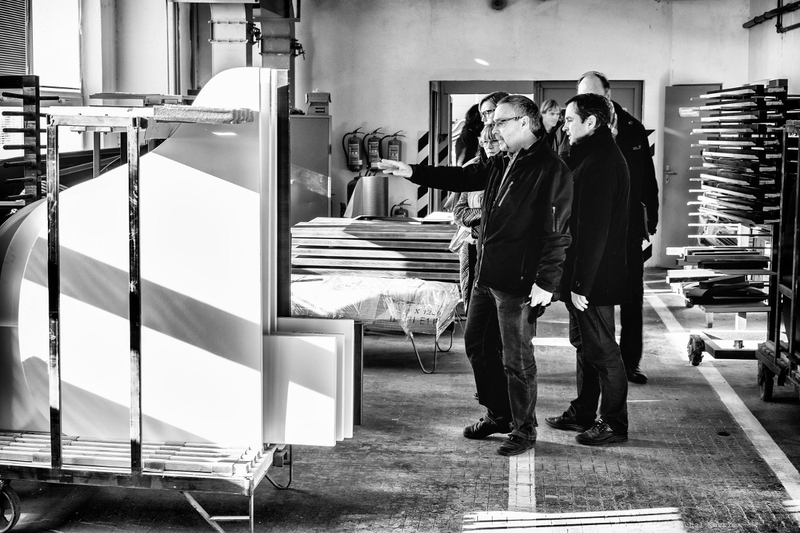 Our dear guests first visited our factory where they became familiar with the complex manufacture process of our beautiful instruments. 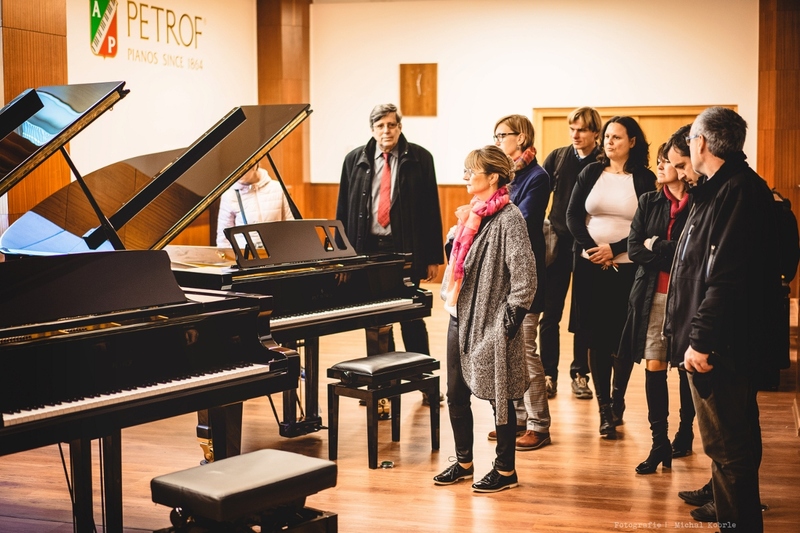 This was followed by an excursion to the PETROF Museum where they all enjoyed hearing the story of the PETROF company and family, and seeing our extraordinary exposition of historical and contemporary musical instruments. In head of the visiting council was its director Mgr. Naděžda Machková Prajzová, Ph. D., together with PhDr. 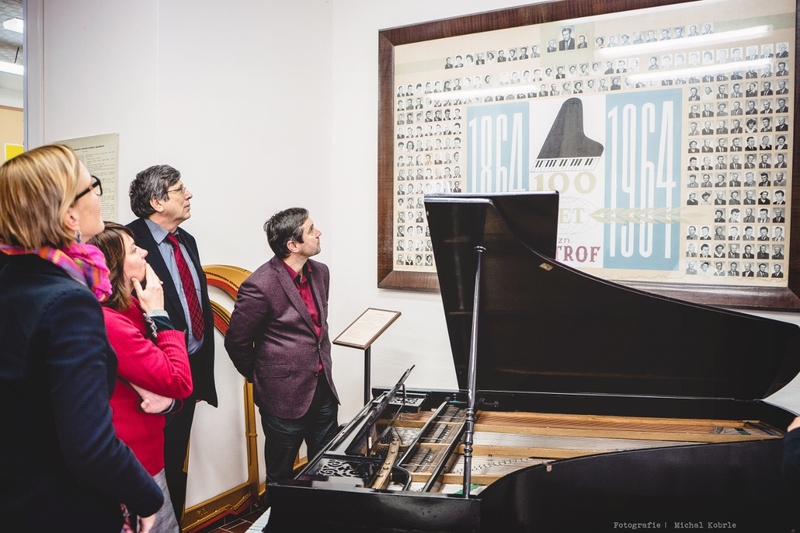 Pavel Douša, Ph.D. from Artistic-industrial Museum in Prague, prof. PhDr. Petr Charvát, DrSc., professor at the University of West Bohemia in Pilsen, prof. PhDr. 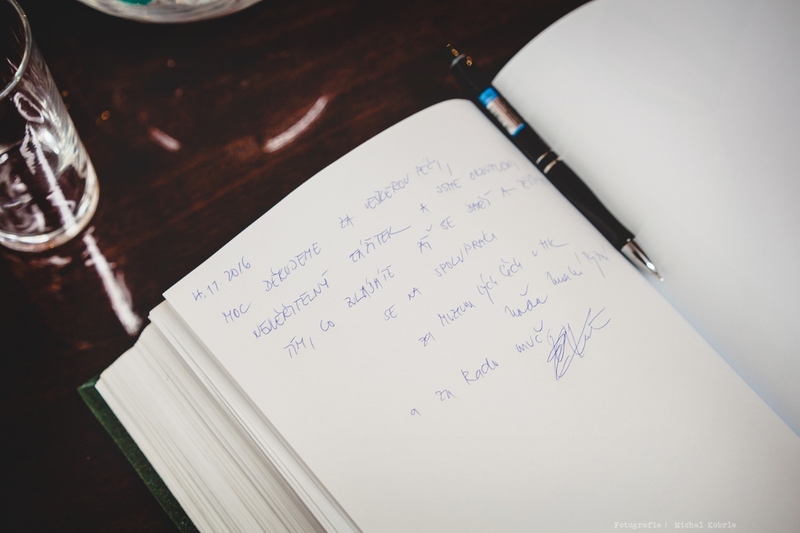 Eduard Kubů, CSc., professor at the Institute of Economic and Social History at the Faculty of Arts of the Charles University in Prague, RNDr. Zita Kučerová, Ph.D., director of the Center of Investements, Development and Innovations, Ing. Oldřich Pešek from general headquarters of the National Monuments Authority, and Mgr. 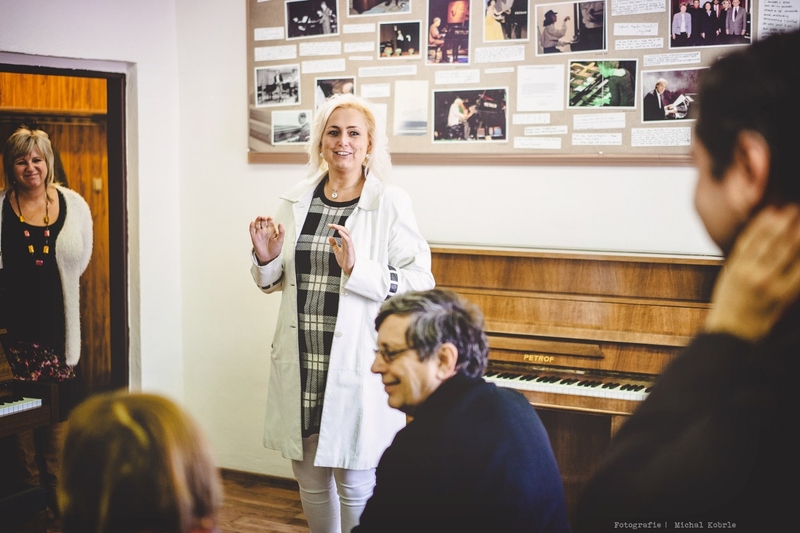 Pavlína Springerová, Ph.D., the Dean of the Faculty of Arts of the University of Hradec Kralove. 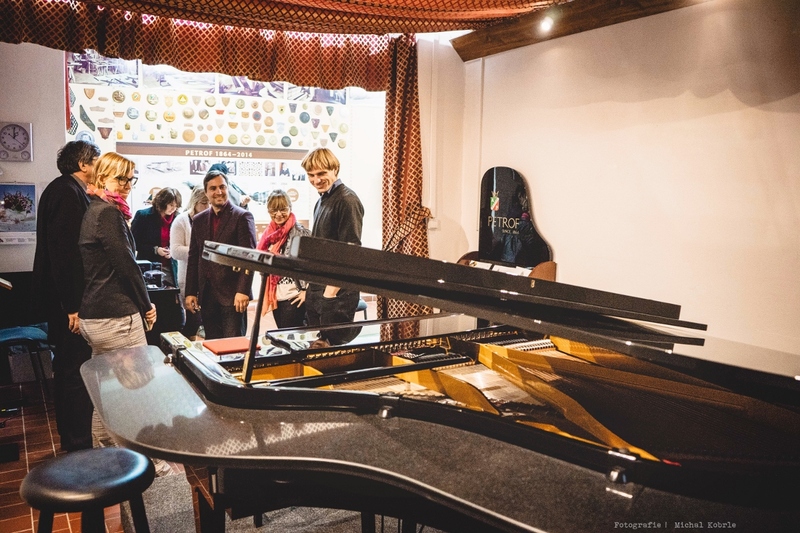 Then, in friendly atmosphere, all the members of this delegation discussed possible ways of cooperation with the CEO of PETROF company Mgr. 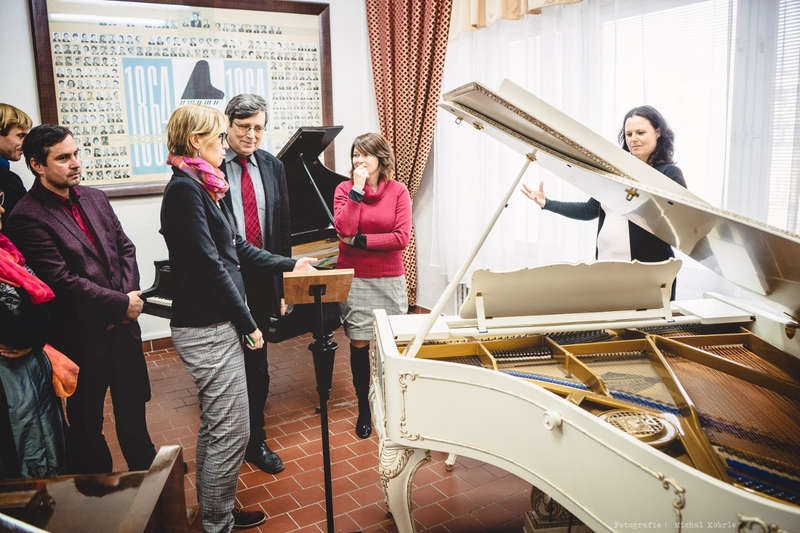 Zuzana Ceralová Petrofová and the director of PETROF Museum Ivana Petrofová.